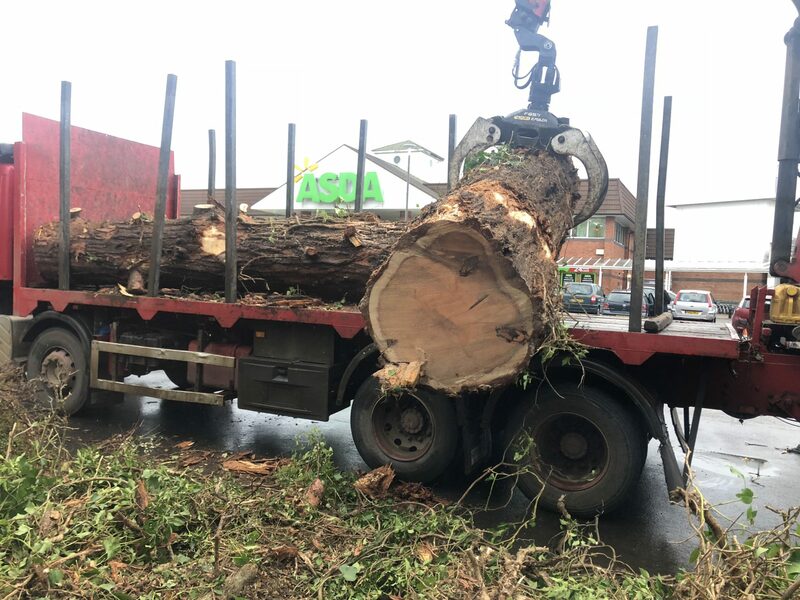 Following a tree survey 2 large Wellingtonia at Asda Oadby had been highlighted to be in severe decline. Both trees were on the boarder of the carpark and had a direction lean towards the store. 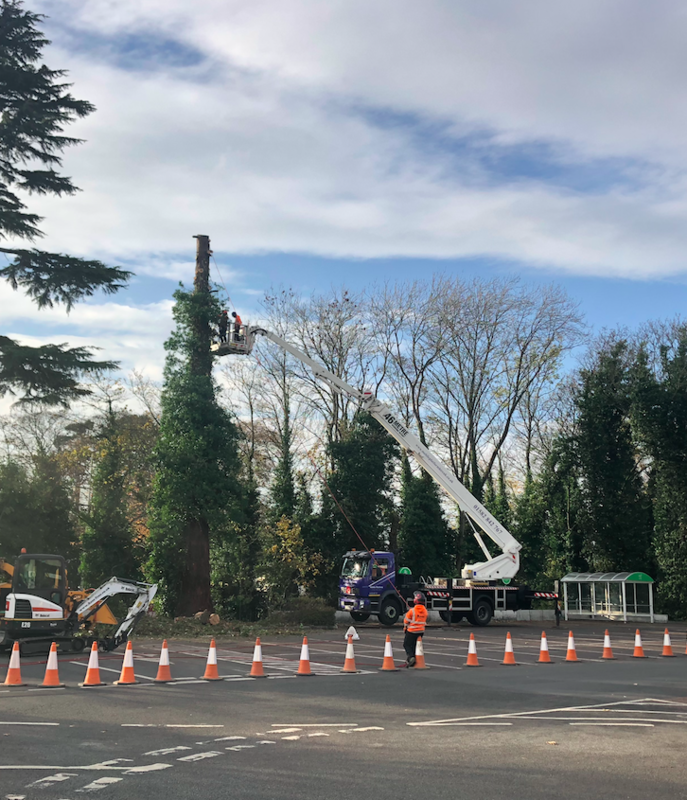 Within a short period of time an order was given to the UKL Client Services Department and our tree team were mobilised, erecting bollards to create a safe perimeter and dismantling the trees before utilising large machinery to remove the debris off site. 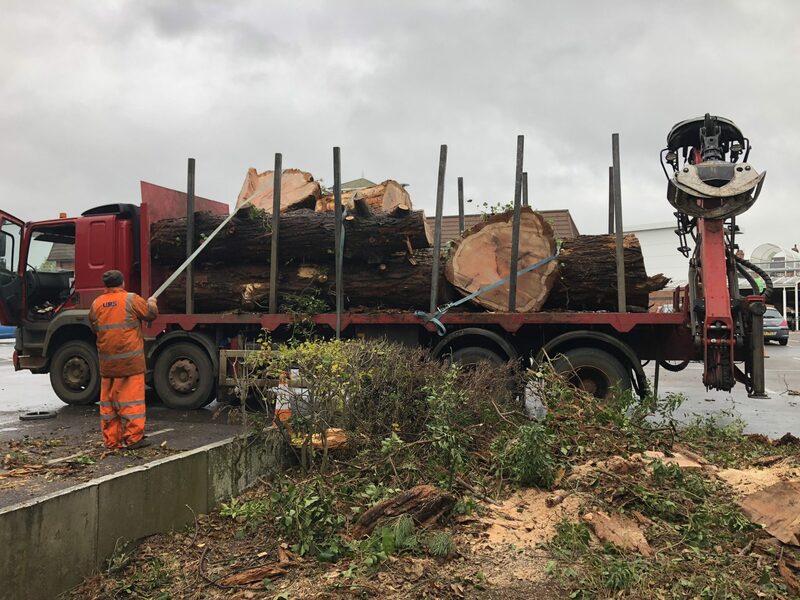 The tree team worked tirelessly with consideration of H & S at all times, completing the job within two days and leaving the site clean and tidy.